Propellerhead Software has had considerable success on iOS primarily with its Figure music creation app, which was hailed by Apple as its App of the Year in 2012. Now, the developer is out with another music creation app in the form of Take Creative Vocal Recorder. Boasting the same combination of simplicity and innovation found in Figure, Take is an iOS app that lets musicians, whether professionals or budding ones, record their musical ideas on the go. 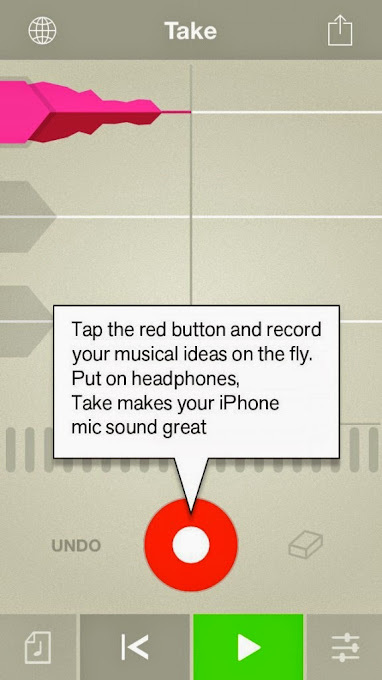 It's developers like Propellerhead that makes the difference between iOS and Android. All the professional developers that develops creative and productive Apps for iOS makes the iOS App Store superior to the Google Play Store. And it's the Apps that make the OS. Much more important than specs. It's the biggest reason why I switched back to iOS from Android after 15 months of being an android user.